We can assist you with planning and managing your personal and business affairs to minimise tax payments. There are many factors to consider when optimising your personal tax position. Are you claiming the Marriage Allowance? Are you utilising the tax relief available on pension contributions? Do you understand the effective rate of tax on earnings between £100k and £120k? 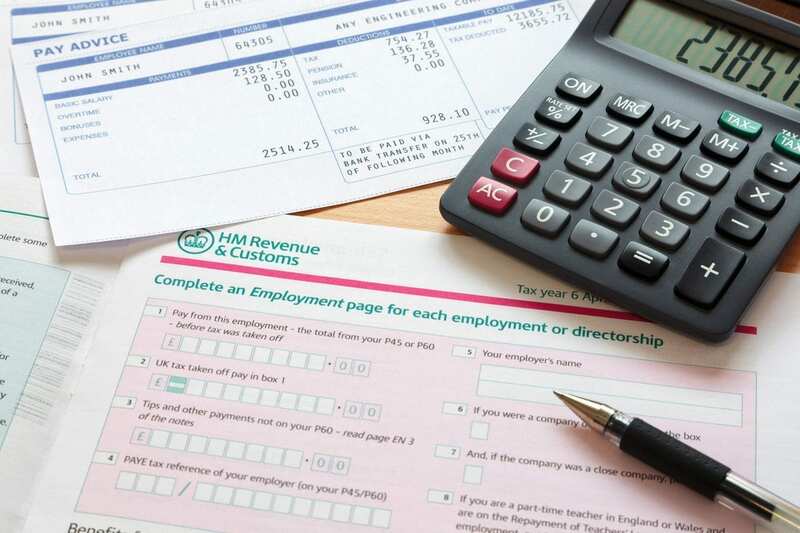 Our services include the preparation and submission of your self-assessment tax return, helping to ensure that you have claimed all the reliefs to which you are entitled and that your tax risk is minimised by including the correct level of disclosure. We can also advise you on structuring remuneration packages. The use of tax losses continues to change, with limits now in place regarding the timing and level of using losses. Speak to us to make sure you optimise the way you use any tax losses. The rules surrounding the taxation of personal services companies are tightening. We can advise you on the potential for your business to fall within the scope of the deemed employment laws. Advice on Associated Companies and the impact on corporate tax and liabilities. We realise that it can be a very stressful time during an investigation or enquiry by H M Revenue & Customs. We can assist you through this process – this is especially important in view of the high penalties charged. We can assist you in this process by assessing the technical merits of the claims and / or assessments being made by H M Revenue & Customs and then, where appropriate, assisting with the replies given, challenging technical aspects of the assessment and managing the process. We can handle the correspondence with H M Revenue & Customs, allowing you to concentrate on running your business or performing your job. We can attend meetings and where necessary take the case to the appropriate tribunal. If you are considering incorporating an existing business, we can assist with planning a tax effective method for achieving this. As a shareholder there are a variety of ways to draw cash from your company. Potentially rent, loan interest or royalties. We can advise on and complete clearance applications for SEIS and EIS and then on going reporting during the duration of the scheme. Making Tax Digital (MTD) for VAT is the biggest change to VAT filing most people can remember. From 1 April 2019, most VAT registered businesses will need to maintain digital records in software approved by HM Revenue & Customs. The existing HMRC VAT portal will be discontinued for those businesses affected by MTD. At Zenon, we have prepared for these changes by undertaking relevant training and are QuickBooks Making Tax Digital ProAdvisors. We work with and recommend HMRC approved MTD compatible software, including QuickBooks Online. VAT is a complex area with many traps for the unwary. We can advise you on when to register for VAT and assist you in registering if required. We can also advise you on VAT strategies to maximise recovery of VAT suffered and to minimise the VAT payable on sales. We bring together our expertise across the taxes to try to ensure that the tax cost is minimised when our clients are involved in a transaction. We find that when we are involved at an early stage we can structure the deal to maximise the tax reliefs available and minimise any tax costs. We find that this really adds value and saves time and expense at a later stage. On the buy side, we are proactive in advising on tax efficient structures for the purchaser. During the process of due diligence, we are able to identify where the tax risks lie and utilise this information in the transaction negotiations. On the sell side, if we are involved early enough we can help assess where the tax risks primarily lie and address those issues before they become a potential deal problem during due diligence. Thanks for all your efforts on my behalf as a momentous week draws to a close. I appreciate all your efforts very much indeed.